1) WeGamers is a messaging app for gamers, by gamers! With WeGamers, you can chat with your guild without having to log in! 2) You must download Lords Mobile and log in to the game account you want to connect to WeGamers. 3) Each WeGamers account can only be connected to one Lords Mobile account. 4) Note: Before you connect your account to WeGamers, log in to Lords Mobile to check your IGGID. Make sure you are on the right account! 2. You can connect your game accounts here. This page will also show the games WeGamers can currently support. 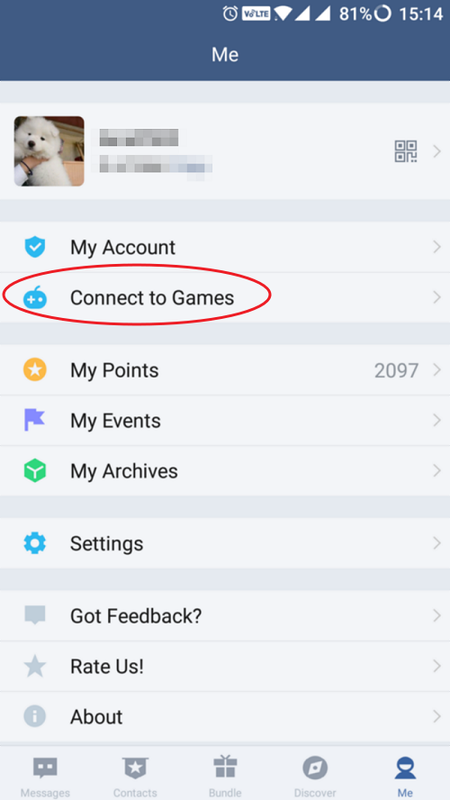 Tap on the “Connect Now!” button to choose the game you want to connect your account to. 3. You will be brought to the screen below. This will show you all supported games currently downloaded on your device. Tap on “Connect”. 4. 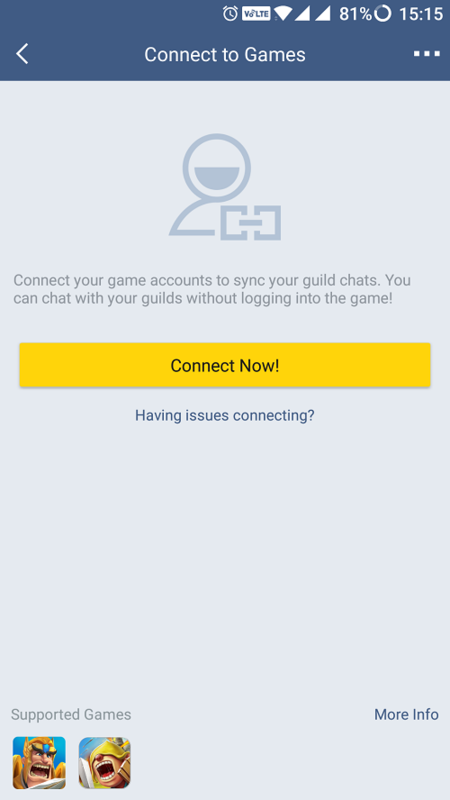 WeGamers will request for permission to sync your guild chat messages. Tap on “Allow” to go to the next step. Tapping on “Cancel” will return to the previous page. 5. 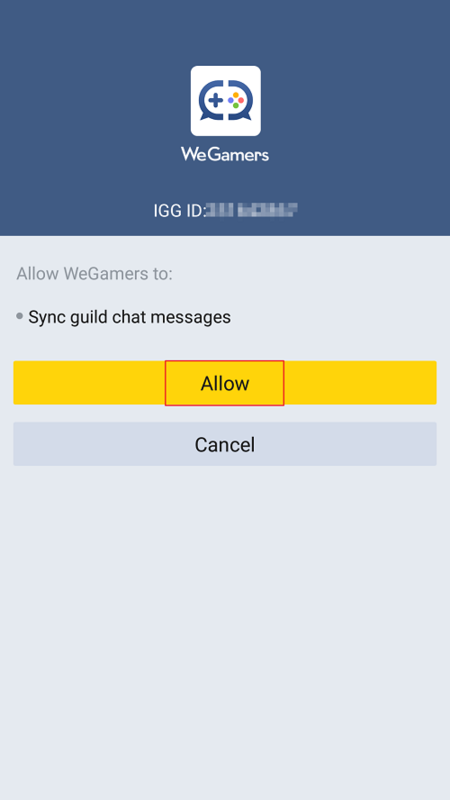 Tapping on “Allow” will sync your guild chat messages with WeGamers, and connect your Lords Mobile account to your WeGamers account. 1) A group chat will appear in WeGamers. The name of the chat will be your guild’s name. All messages sent from this group chat will also appear in your in-game guild chat. 2) Images, voice messages, stickers, etc. are not supported in the in-game guild chat. The system will prompt players to open WeGamers to view this content. Only text messages will appear in-game. 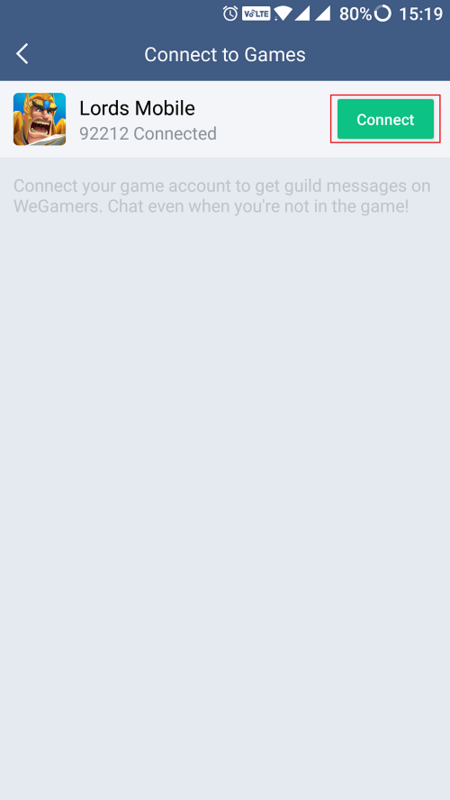 3) The WeGamers chat group will be updated automatically if any members join or leave your guild in-game. 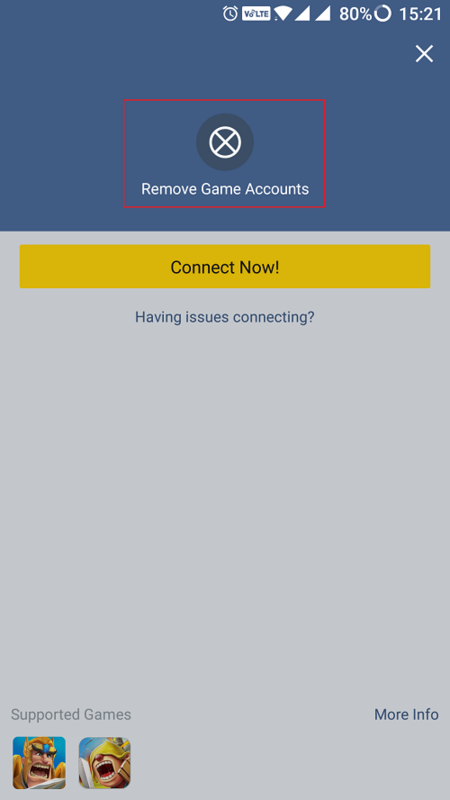 4) To remove the connection between WeGamers and your Lords Mobile account, select “Connect to Games”, then tap on the in the top right corner. 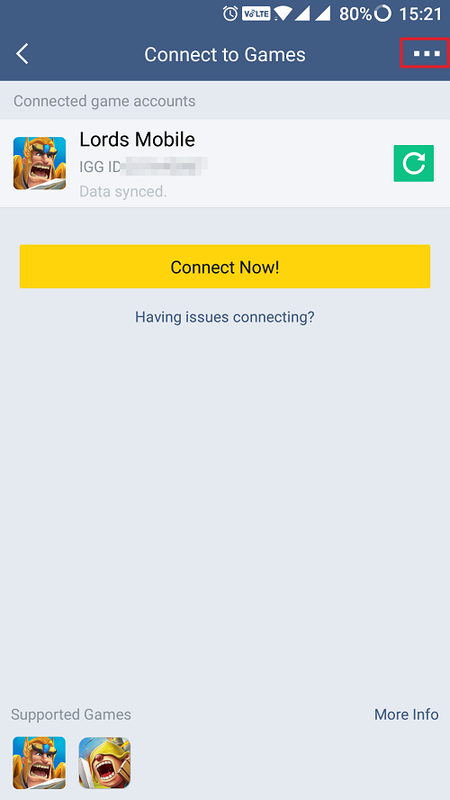 Removing the connection will not affect any data in Lords Mobile. Hii i connect my igg id but..
Hii i connect my igg id whit WeGamers, but, my account is not syncing, when you go to fix it? Hi! I want to Tell Everyone about monster hunt. The bunny event is begining today. Can i start a new topic? Or i just post here? The bunny event starts today. Every 3 hours 3 bunny's appear in each Kingdom. They reset once the coloseum is reset. Those of you witch have lots of energy in bag have a great chance to win amaiZing prizes. Use shield and relocate Close to the monster. Atack him a few times x1 just to gain dmg boost, and than hit him with MAX energy. Carreful not to reach hunt in a row limit. Good Luck Everyone. I hope this is helpful. Hi all, for the Wegamers & Lords Mobile Connection, while some players might have the issue that the data can't sync immediately, we are sorry for the inconvenience, with regards to this issue, our team are trying our best to solve it at present. We hope for your continued support. Mine is not syncing either.. will I still get the reward? I connected my game, it finished syncing last night, but it didn't give me rewards nor did it sync my guild chat. Plus if I search anyone's username, it says 0 results even when it's perfectly typed.